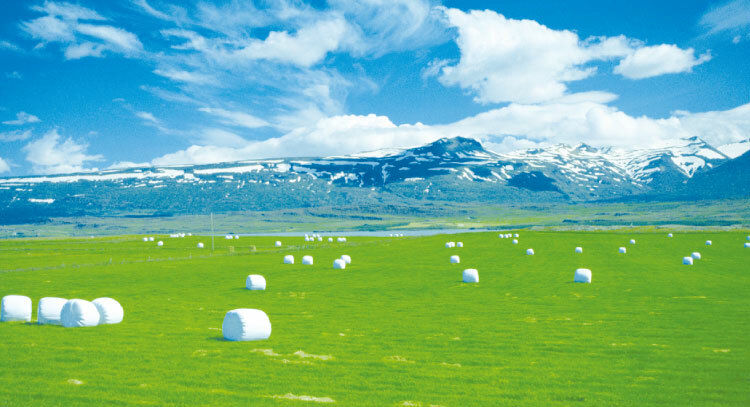 We offer agricultural films, which boast the top market shares in Japan, and various other materials according to user needs to provide overall support for agricultural management. 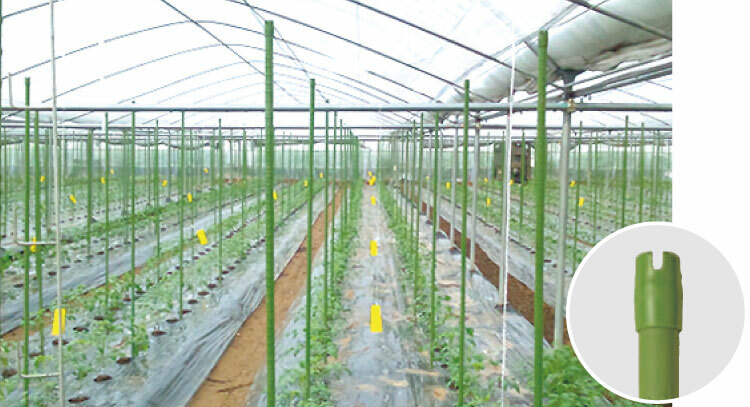 We will continue to contribute to the stimulation of agriculture by promoting materials focused on the future based on our experience and knowledge of Japan’s greenhouse horticulture development. C.I. 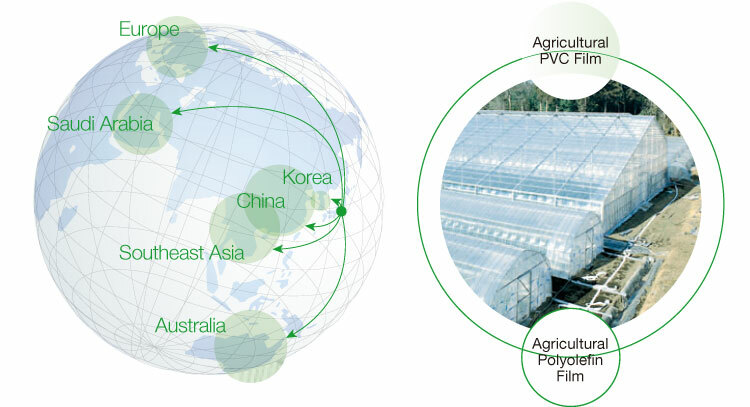 TAKIRON utilizes its sales network and network of Group companies, which have been cultivated over the years, to supply agricultural materials according to demand to agriculture-related people both in Japan and around the world. 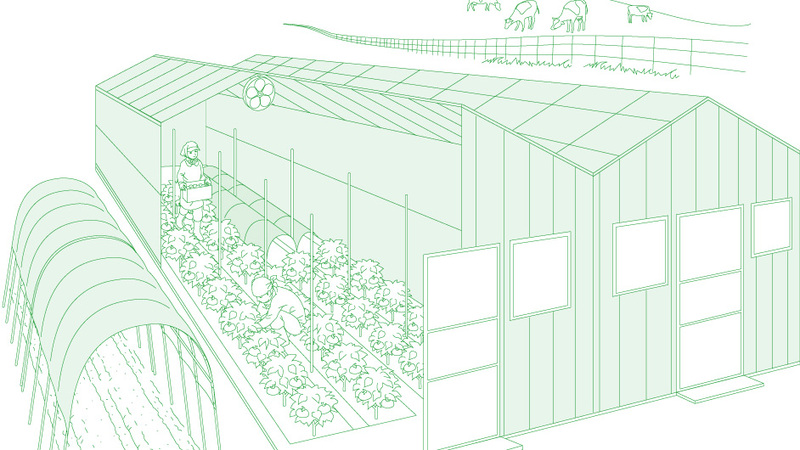 We also aim to create better agricultural environments through “System Agriculture,” as represented by vegetable factories. 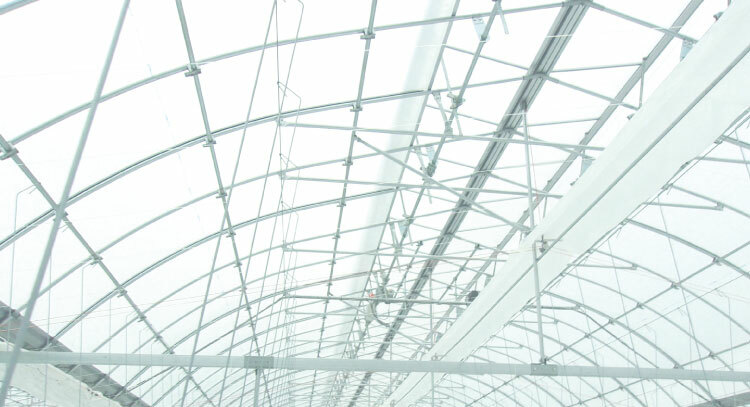 Diffuses the light falling on the greenhouse, making for soft light inside. It reduces worker and crop stress and contributes to stabilizing harvest quantity and improving the cultivation environment. The resin coating prevents deterioration of the quality of the steel stakes by dramatically deterring rust from growing or progressing due to surface damage. 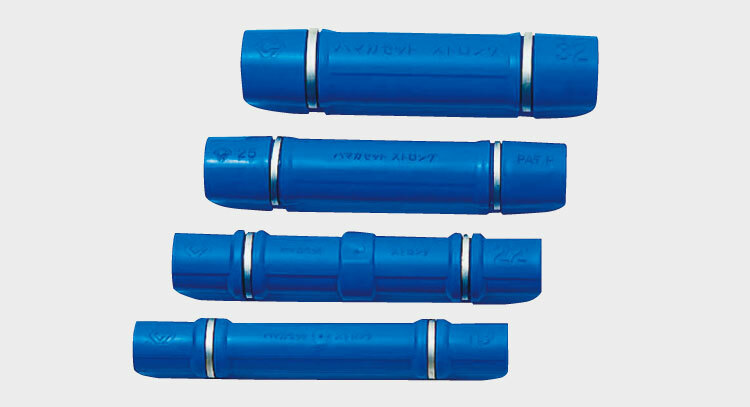 This long-lasting product contributes to the environment and is economical. The upper cross-cap makes installation work easy. 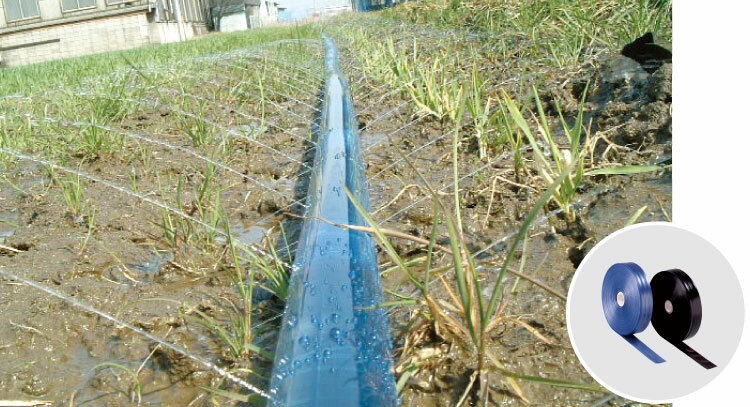 A product that allows quick and even irrigation of crops by customization of the hole size. A strong, colorful, and easy-to-use manual binding tape. It offers a wide range of applications from agricultural use, such as bundling and sorting vegetables, and guiding vines, to handicrafts. We provide a total lineup of materials and machinery necessary for agriculture and dairy farming, such as machinery, fertilizers and other materials. 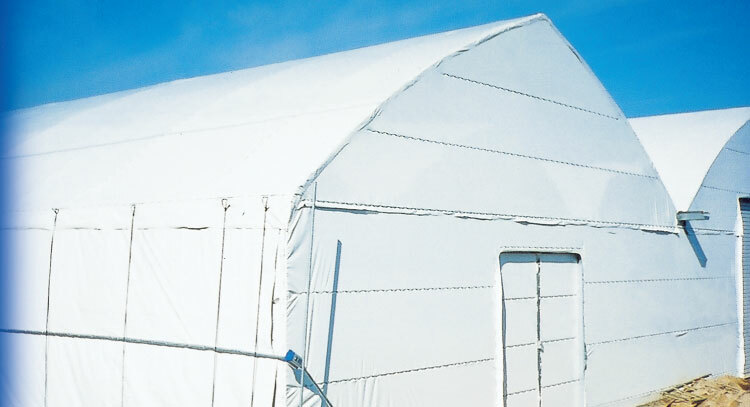 Materials for simple storage sheds and shade cultivation greenhouses with excellent light-shielding properties. These have been favorably received by our customers. A biodegradable film for agriculture that can be broken down by microbes into water and carbon dioxide. By plowing it into the soil, the task of removing it becomes unnecessary. It also contributes to reducing waste. 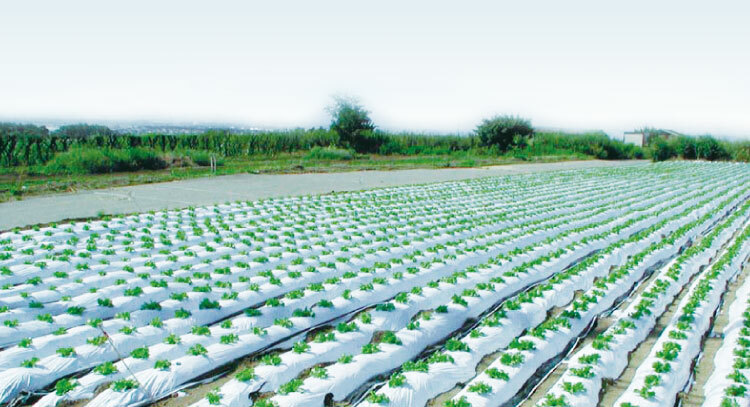 Agricultural materials to save labor and make pleasant growing conditions. * Photo: Materials used to secure agricultural film on greenhouse pipes. Grass silage film and bundling nets that help make high-quality feed by snugly wrapping pasture grass.